Fancy Heart Filigree Silver Plate 9mm (for custom rosaries only, not for individual sale). See below for more details. 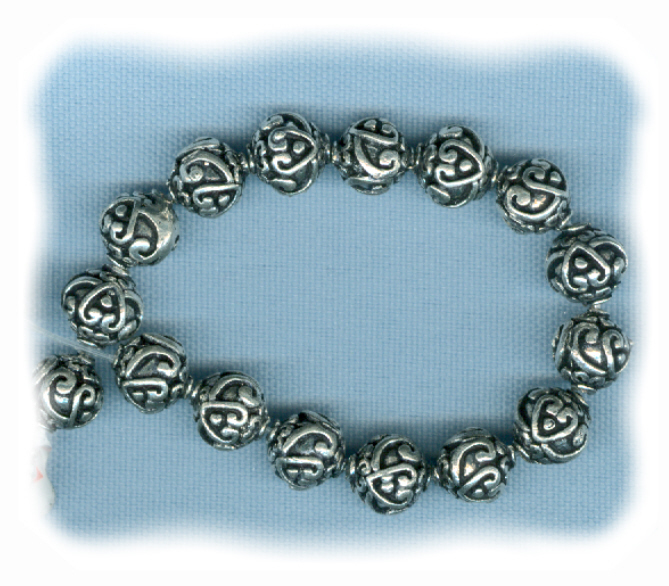 Check out these sweet silver plate filigree beads. They are silver plate over a copper alloy and feature a filigree heart design. These beads will work great with 6mm or 8mm beads. Price includes all 6 beads. These beads are for custom rosaries only. If you are looking for individual beads for sale, please click here to visit my bead section for crafters.